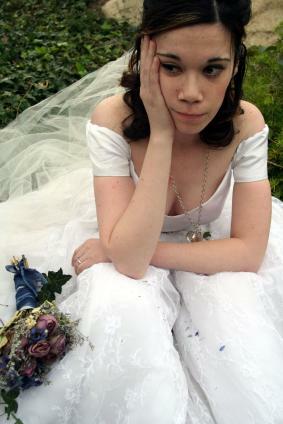 Home → Wedding Specialist → Don’t Be The Bride With The After-wedding Blues! 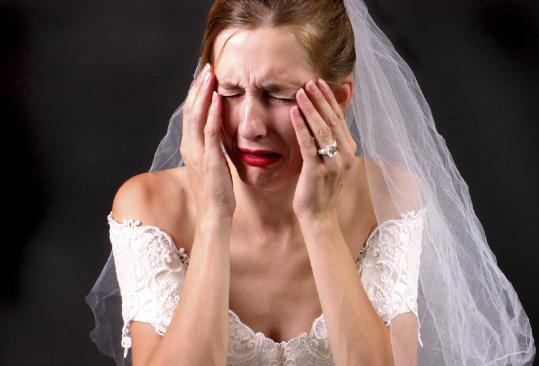 Don’t Be The Bride With The After-wedding Blues! HORROR STORY! Why cheap can REALLY COST YOU! YOUR PEACE OF MIND… HOW CAN YOU HAVE FUN WITHOUT IT? BRIDES SURVEYED AFTER THEIR WEDDINGS CAN SAVE YOURS! We all want to save money…me absolutely included. Some things, however, are too precious to risk. You really ought to spend more on your Wedding DJ entertainment than less. (Almost 100% of all brides surveyed after their wedding say so…survey results are below) Small fortunes get spent on wardrobe, photography, flowers, bar, catering and yet, entertainment is often almost an afterthought! This borders on tragic as your entertainment is what the majority of your guests will remember most! A few years ago, I was contacted to help a San Diego bride and groom in distress. It was the day of their wedding and reception…three hours to go. Their DJ was missing in action. He didn’t contact them. He didn’t answer his numbers. Sheer hysteria! They needed a professional to save their most important day. They needed an experienced, professional Wedding DJ! YOUR PEACE OF MIND… CAN YOU HAVE FUN WITHOUT IT? My chief priority at every event is to ensure my client doesn’t have to concern themselves about the details so they can relax and have a worry-free, enjoyable time. Your job is to have fun! You can be secure in knowing that years of experience as a DJ/Master-of-Ceremonies in virtually every imaginable sort of event for as few as a couple of dozen to thousands of audience members has prepared me to adapt, respond and deliver excellence under a wide range of event situations and types. Caring about and seeing to the details…being dedicated to make sure every event is fun and successful is what sets a true professional wedding Disc Jockey apart…to hire less than a consummate professional for your celebration courts disaster and can mean the difference between fond memories and unhappy regrets. OK, Edward, I hear you say, that’s YOUR opinion. Yes it is (true though). So let’s go further and give you reasons from customers supporting the “why to spend more” thing. I’m a wedding specialist, it is my favorite “niche,” I’m very good at it and the wedding industry is studied and analyzed a hundred ways from Sunday. Let’s look there (you corporate folk and others stay with us…people are people and these stats should concern and intrigue you as well.) I’m not really a “stats guy,” I entertain for a living, but you’ll find the following facts startling…I did and I’ve been doing this for over two decades. Here goes. 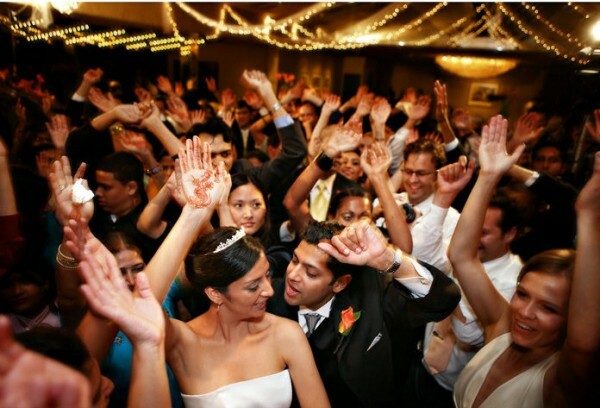 The entertainment chosen for a wedding or party is responsible for 80% of the event’s success. 72% of today’s brides are using professional mobile entertainers as their entertainment choice. 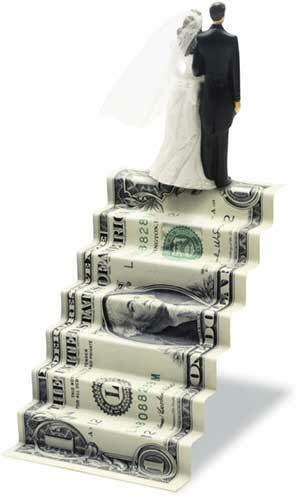 4% – 6% is the amount most brides reserve for their entertainment budget. Almost 100% say they would have spent more of their budget on the entertainment. During wedding planning, brides say their highest priority is their attire, followed by the reception site and caterer — reception entertainment is among the least of their priorities. Within one week after reception, 78% of brides say they would have made the entertainment their highest priority. 65% of all couples that chose a band to entertain at their wedding, said that if they had it to do over again, they would have chosen a disk jockey.